Nossos espaço acomodações são Ideal para viajantes de negócios ou que preferem a experiência de viver em um apartamento cheio em vez de um único quarto de hotel. Pelo preço de um quarto de hotel médio, você pode desfrutar da melhor experiência de uma Residência Local Privada. Overall it is an excellent place to stay in heart of kl city. Room is installed with an amazing tv program and lot of movies. Matters is "comfort" to sleep. Toilet is clean. 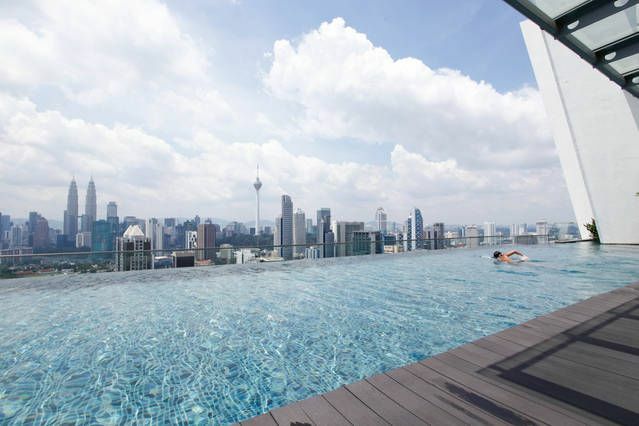 Only throwback is the sky pool crowded with ppl during weekend. A very pleasant & convenient spacious studio apartment with all facilities for a longer term stay. A very pleasant & convenient spacious studio apartment with all facilities for a longer term stay. Convenient to public transport, and a very polite & considerate owner. Highly recommended.